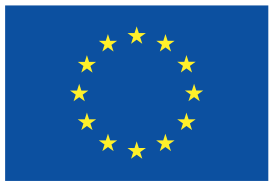 is a project funded under ERA4CS, the ERA-NET Consortium “European Research Area for Climate Services”. MEDSCOPE is a three-year project that will enhance the exploitation of climate predictions from seasonal to decadal timescales, maximising the potential of their application in different economic sectors, public and private, of relevance for the Mediterranean region, here defined as the domain encompassing the Mediterranean basin and the surrounding areas, including North Africa and the Middle East. If you wish to style particular content element differently, then use this field to add a class name and then refer to it in your css file. If you wish to style particular content element differently, then use this field to add a class name and then refer to it in your css file.If you wish to style particular content element differently, then use this field to add a class name and then refer to it in your css file.If you wish to style particular content element differently, then use this field to add a class name and then refer to it in your css file.